One of the most essential processes in business is project management. Conducting regular project management training is incredibly beneficial, giving you the right knowledge and skills that come along with managing a project. Here are a few benefits of project management training. One of the main benefits that you will receive from training in project management is the ability to set realistic times and goals. Being able to prioritize goals is a key trait in business, which can allow you to make great use of your time. When set with a task, it’s important that you can set aside what needs to be completed first. Time is money when it comes to running a business, so you will want to use your minutes wisely in order to get the task done on time. Understanding the needs and resources of your business is essential. This could either be in the form of manpower, money or time. Making good use of project management training will allow you to determine how to set realistic budgets for future projects, as well as estimating the resources needed. Another benefit of training is that you’ll learn how to produce documents needed for review. Every step of a project needs to be documented, whether in the planning stages or throughout. This will give you a solid and reliable record that you can use to verify your project during a review. Training will give you the necessary skills needed to produce well-documented project completion reviews and proofs. Understanding information systems in business is another aspect that you need to be up to date with. In this day and age, project management is not done manually. Instead, you will need to be up to date with applications and programs to stay on track of your project. Once you have completed your project management training, you will be able to offer your expertise to colleagues who may not have a great knowledge of how computers work, or to those who do not feel comfortable using them. There are several other benefits that you will receive after completing project management training such as improved efficiency, which means you will be able to accurately set a schedule, scope, and budget at the beginning of a project. When using your techniques and tools effectively, clients will be satisfied with your output. Once you are ready to begin your project management training, it’s best to look online at sites like findcourses.com where you can find the type of course you want, how long the course will last as well as where it will be located. You can also compare courses to see which is right for you. Undergoing regular project management training is essential for a business to succeed. Not only will it improve efficiency and enhance your confidence; you will also gain a fresh perspective on your business, which will give you new techniques that you can apply to any task. The tip of the week is to set-up and optimize your YouTube Channel. 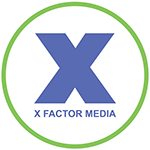 Dr. Gordon Kaplan, X Factor Media client’s video has garnered over 300,000 one on video alone. Throughout the country, a very shocking shift in the beauty industry has started to happen. Plastic surgery, once considered to be the pinnacle of all things aesthetic, has started to fall to the wayside in favor of non-invasive procedures like dermal fillers, CoolSculpting, and microneedling. It’s a shift many industry insiders never would have seen coming in past decades. However, it’s happening, even to the point that Hollywood’s elite have started to undergo non-invasive procedures rather than just splurging for classic “nip and tuck” types of cosmetic treatments. Baffling though it may be for some, the truth is that the popularity of non-invasive cosmetic procedures is one that makes sense—and not only because they are less expensive. The risk of undergoing fully invasive plastic surgery is very real, and at times, can even be potentially lethal. Risk alone, though, don’t explain the full story of what’s going on with the world of cosmetology these days. Plastic surgery itself has seen a drop in price as techniques have gotten more refined throughout the years. The results have definitely gotten better, so if money weren’t an object, one would assume that people would still opt for invasive surgeries to get the looks they want. So, really, what’s going on here? We decided to ask Theresa Pinson at Long Island’s Virtual Skin Spa to find out. When it comes to the world of beauty treatments, the results you get are king. People will always pay top dollar for being able to look better than ever before, and if more people are getting non-invasive procedures even when they can afford to get a full facelift, that should tell you something. Due to the advances in medical technology, the results that people have been getting with non-invasive cosmetic procedures have been, at the very least, equal to many classic plastic surgery procedures. Some, such as lip injections and other dermal fillers, have actually given clients more natural results than what traditional plastic surgery could offer. Another issue that has often held back clients from getting surgery is the fact that it’s prohibitively expensive. Not many people have several thousand dollars to spend on plastic, especially when they have families to feed and investments to make. Non-invasive procedures are naturally going to be cheaper, simply because they require less anesthesia, less equipment, and of course, fewer staff members to oversee everything. With everything less expensive, it makes sense why many people are opting for equally effective non-invasive procedures. Downtime isn’t something that should be taken lightly. You need time to rest after an invasive procedure, otherwise, it could cause complications or even cause your procedure to fail. Depending on the surgical procedure you want to get, the amount of time you could have to take off from work could be as long as four weeks. Most people don’t get four weeks of vacation. Non-invasive procedures rarely, if ever, require downtime that exceeds one to two days. The excessivee downtime of traditional plastic surgery puts many procedures out of the question, which in turn, drives the demand for non-invasive procedures through the roof. Finally, there’s something to be said about the stigma that comes from saying that you’ve had plastic surgery. Though it’s not necessarily fair, the scars that show you’ve “had work done” tend to be stigmatized in mainstream society. Non-invasive procedures don’t carry that same stigma, which in turn, makes them a lot more user-friendly to people. Regardless of whether the stigma is right or wrong, the truth is that it’s made a huge change n the way that people think about procedures—and that’s what leads us to the point we’re at today. Creating Infographics (IG’s) can seem confusing and difficult to put together. As Digital Marketers we segment our Infographics by the goal of the campaign either for SEO purposes to build credible backlinks and the other is to support Public Relations efforts. Many would argue is that they are on in the same. That is not true, to rank for Google through SEO you need quality content both onsite and offsite. Onsite content should be the source of information with backlinks connecting to it’s the page (containing the content) from credible sites. We recently created an Infographic for an important client, Dr. Monica Tadros, who is a Facial Plastic Surgeon out of NYC and NJ. She sees a correlation between allergies and sinus issues. Therefore we created an Infographic to raise awareness of the matter. We kept it short and sweet on purpose to get greater pick-ups. Now for SEO, we submitted to various directories to build awareness from a backlinking perspective. No proprietary strategy, just a lot of hard work and outreach to get it picked up by interested parties. SEO is often tedious and manually done in order to not get penalized by Google. The Infographic was picked up by seven sources and ranks for Top Allergy Triggers locally. As for Public Relations, we took a different angle. We did a press release and journalist outreach sharing the piece for use on their sites. Although it did not garner any TV interviews, it was syndicated and picked up by close to 15 sites. This was a PR play as it created awareness for our client. The media sites were happy to pick-up our Infographic as they are always starving for content. With that said, we built some inroads for future placements, and they have already resulted in additional exposure providing high-quality media backlinks. Don’t think a simple Infographic won’t work, think again? Check out our simple Infographic that garnered over 1,000,000 media impressions.